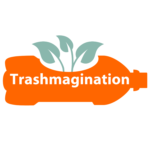 While Trashmagination is my hobby, my job is as an innovation consultant. My company is Press the Go Button, where I help people build systems in their organizations that will make their products and marketing more innovative. 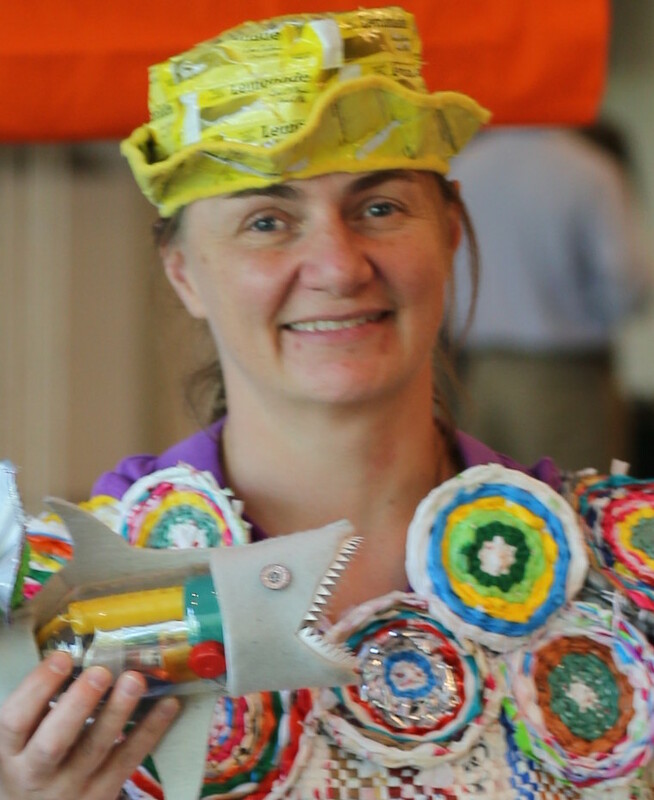 I leverage a methodology called Innovation Engineering to assist my clients. 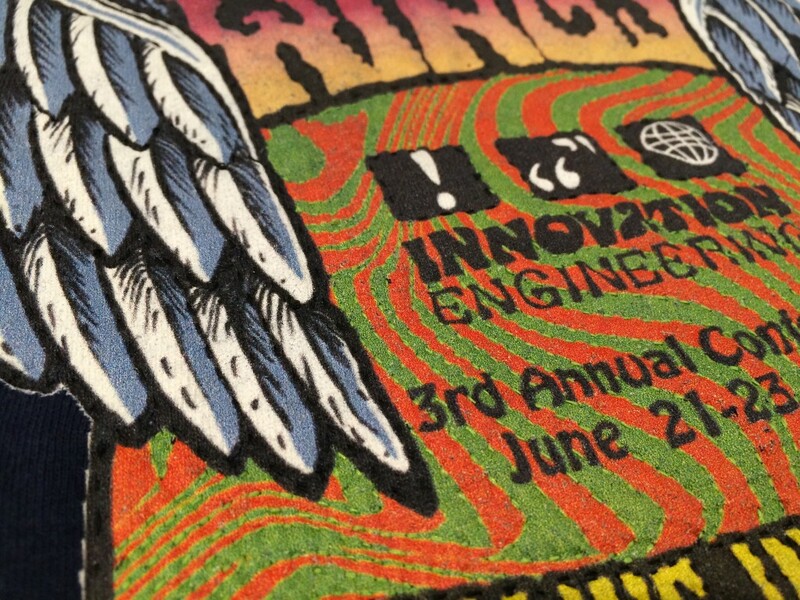 Last June, I attended the Innovation Engineering conference. 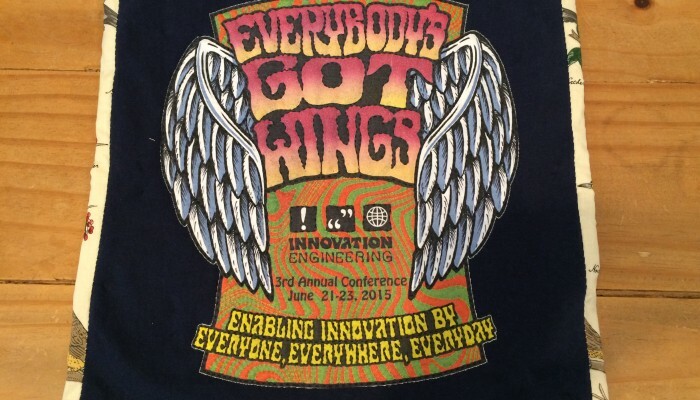 The conference theme was “Everybody’s Got Wings” because it is the mission of Innovation Engineering to change the world by enabling innovation by everyone, everywhere, every day. 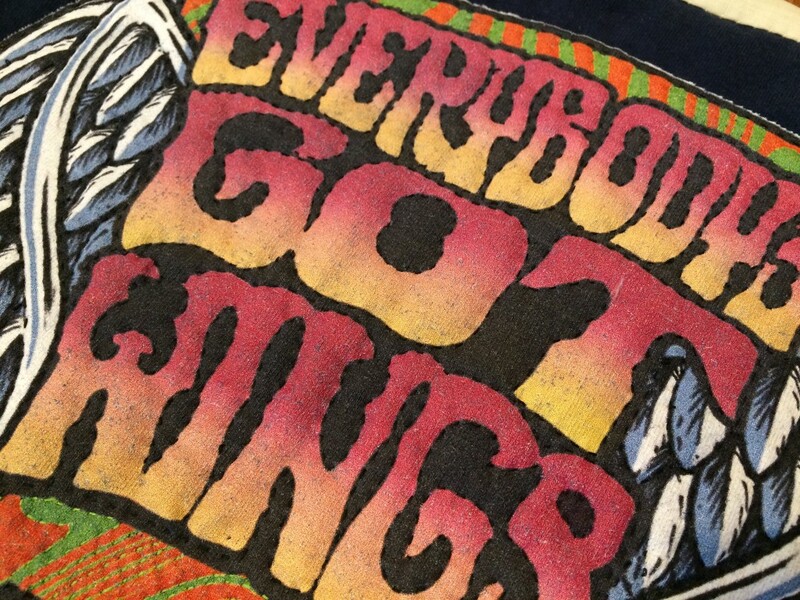 At the conference, I got this cool t-shirt and while I loved the design, I didn’t think I would wear it. 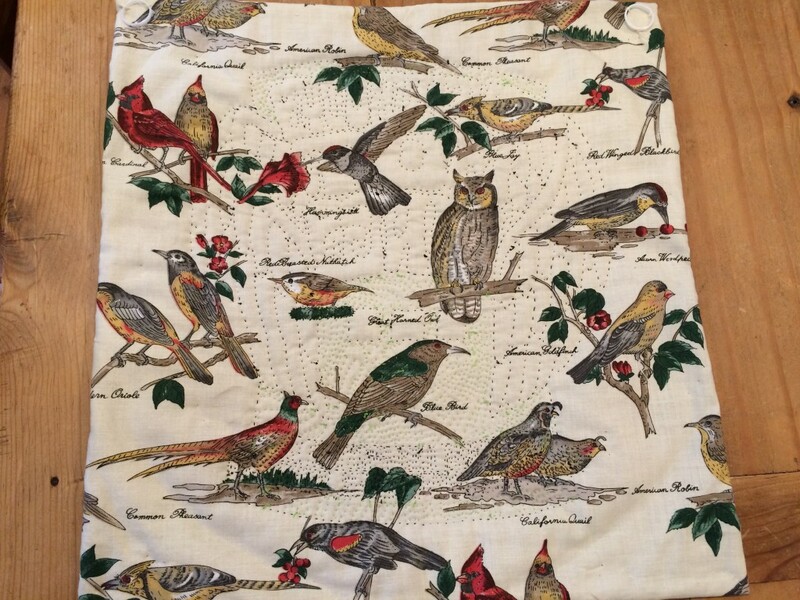 I decided to hand-quilt it instead and hang it in my home office. 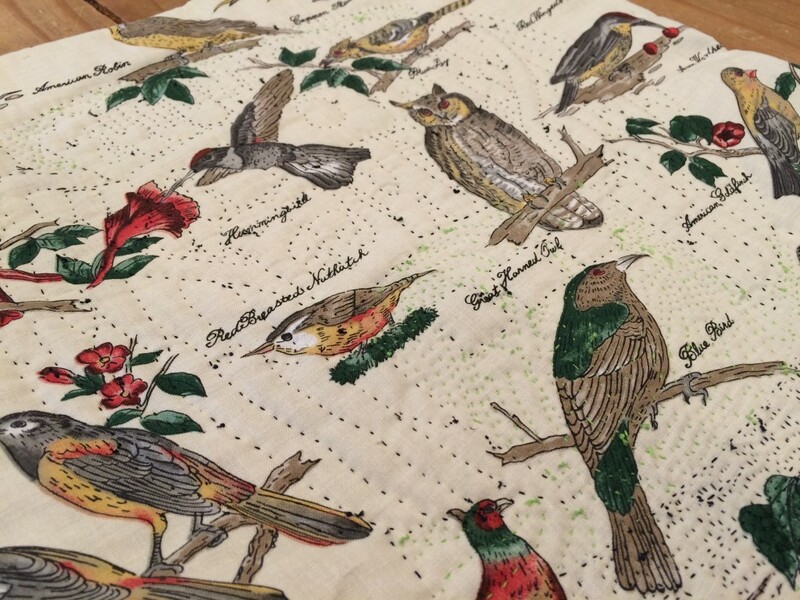 The back of the quilt is fabric showing many species of birds, aligned with the “Everybody’s Got Wings” message. Besides the fact that I love the design and message, I also enjoyed making this quilt because at the conference, I received an award called the Erick James Award. Erick was an Innovation Engineering Black Belt like me who passed away in 2014. He had a huge personality and impacted our community greatly. Innovation Engineering founder Doug Hall created this award to recognize people in the Innovation Engineering movement who go above and beyond to help others. It meant a huge amount to me to receive this award, along with John Ferris and John Muldoon.